Microfiber cloths are a great choice for dusting because they grab and hold a ton of dust without releasing it into the air. They grab onto dust and remove it without scratching furniture or damaging wood, and you don't need polishes or oils. Look for both disposable and washable microfiber cloths to use for your dusting needs. Lambswool dusters are great for dusting in irregular places and on flat surfaces. With extendable handles, you'll be able to reach up to door frames and ceiling corners, as well as down to baseboards and pieces of furniture. Lambswool dusters won't leave behind feathers, but they do require some maintenance and washing to keep them functioning well. Ceiling fans attract a lot of dust and need to be maintained to ensure good performance and aesthetics. This ceiling fan duster will help you reach and dust without a step ladder. This one has an extra long reach and full head that makes dusting the ceiling fan an easy chore. This lambswool duster comes with a vacuum chamber to remove dust from the duster as you work. The vacuum chamber has two-stage HEPA filtration to trap dust particles as you work. The cordless vacuum works on rechargeable batteries and allows you to dust an entire house without needing breaks to shake out your duster. Compressed air is a good tool to use for dusting some electronics devices and other areas where a dusting cloth isn't practical or effective. It is often used to clean computer keyboards or other electronic devices which may not be compatible with other dusting tools. Pledge Furniture Polish is a good choice as a polish for your wood furniture. Furniture polish can help prevent scratching on fine wood furniture. Follow directions when using furniture oils and polishes to prevent buildup or damage to wood surfaces. Method's Wood For Good Polis is great for those who prefer to clean their home in a more natural and eco-friendly way. This spray polishes surfaces with a minimal smell but also leaves it with a nice shine. Available in unscented and an Orange Scented variety, Pledge Grab-It Cloths do a good job of grabbing onto dirt and dust without releasing it back into the air. These disposable cloths are great for quick dusting jobs and work well for furniture and electronics. Feather dusters are a popular dusting choice because of their versatility. They can get into tight places and do a good job of removing dust, although they may not be the best choice for allergy sufferers. Replace the feather duster if any of the feathers break as broken feathers can scratch and damage furniture and surfaces. This large dusting cloth offers 16 sides to ensure that you have a clean spot to dust with each time. 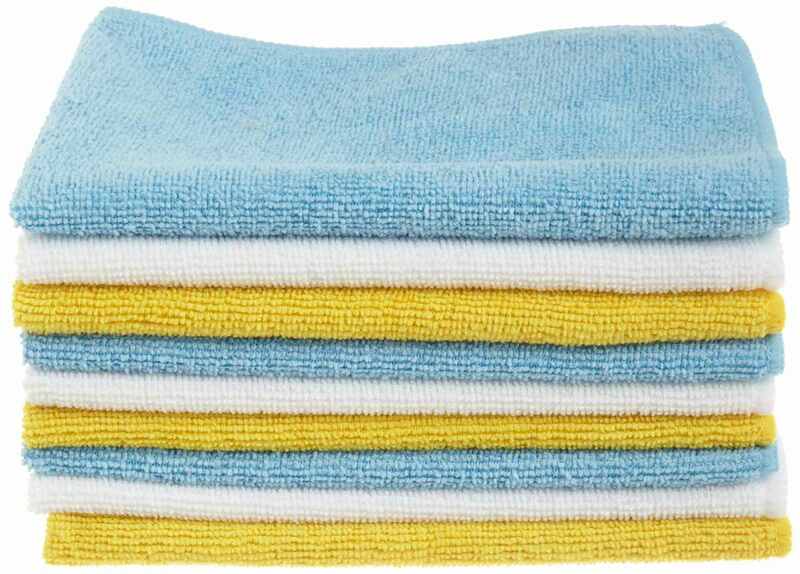 This washable cloth does a great job at dusting and cleaning many areas of your home. It's also great if you like to do damp dusting.